Rev. Dale Hartman has served at the Modesto Gospel Mission since 2006 and has served in rescue missions for over 29 years. Dale has been married to his wife Alice for over 21 years and has a grown daughter and two grandchildren. 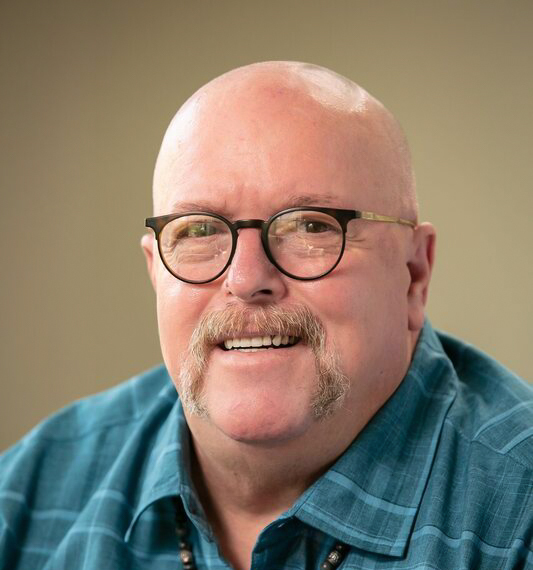 Dale oversees the Education & Employment department at the Modesto Gospel Mission, and assists Mission guests with vital educational resources and with their individual job searches. Dale first came to the saving knowledge of Jesus Christ at the Rescue Mission of Salt Lake in Utah and has served the Lord in his work ever since. Dale’s favorite book in the Bible is Romans. Reality Therapy & Choice Theory Specialist, Clinical Supervisor Certified, Co-Occurring Disorder Specialist, Forensic Addiction Counselor, Certified Trauma Professional, Gateway Intervention Professional, Certified Advanced Addiction & Drug Counselor.